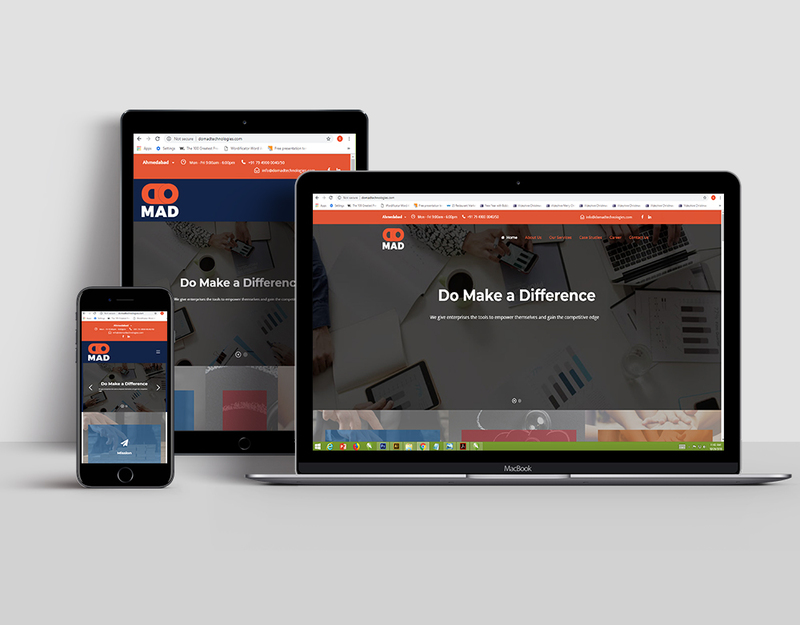 A new IT services company, DoMAD Technologies, needed a compete go-to market brand identity. In today’s Digital Age, the market is overflowing with ripe competition in the IT and IT-related services space. 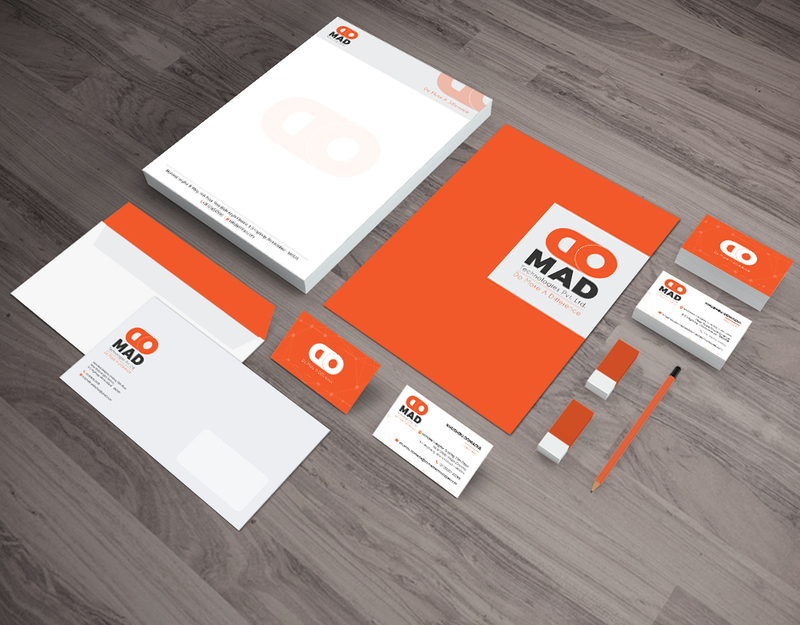 That’s why the Ahmedabad-based DoMAD Technologies was focused on creating a unique identity that would be relevant to a younger audience in terms of design and appeal. After doing research into the target audience’s perceptions in this market segment, our creative team came up with a bright and bold colour palette that would be weaved in the logo and feature across all communications bearing the stamp of DoMAD Technologies. We also designed a new age website for the company – one that would act as a primary customer touchpoint for new business. The client was delighted with the delivery of the new brand identity as it was positively received by their customers. The website functioned seamlessly and generated considerable organic traffic all by itself thanks to our team’s strategic SEO and key word optimization efforts. This in turn positively impacted the company’s visibility since they are easy to discover in the online space.